The Fire Loop Trail on Mica Mountain can be likened to a Freeway system in a large city complete with through freeways, Loop freeway and connecter freeways, without the traffic though. 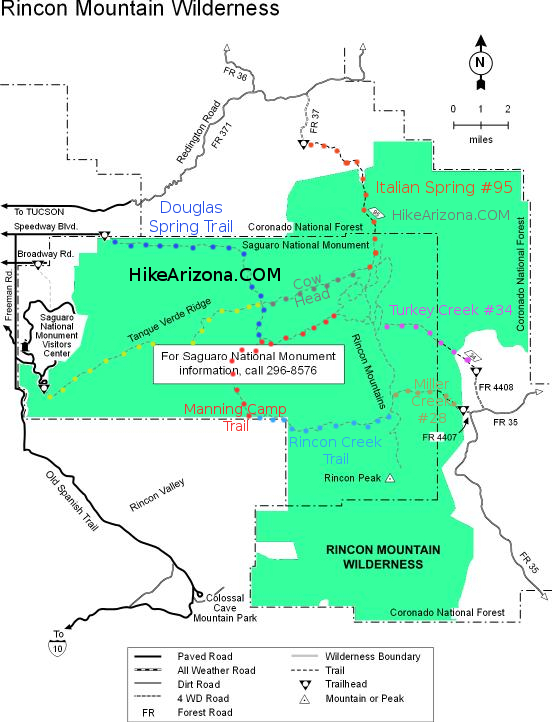 If you are just looking to get in and out of the area the Mica Mountain Trail does that, it is the main trail from south to north trough Mica Mountain. 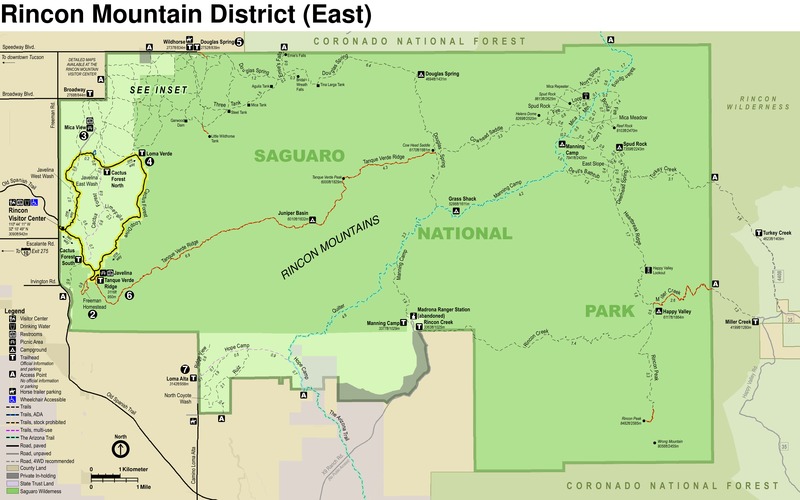 If you want to avoid the inner basin of Mica Mountain you use the Fire Loop Trail that loops around the Mica Mountain Basin and connects all the other trails. 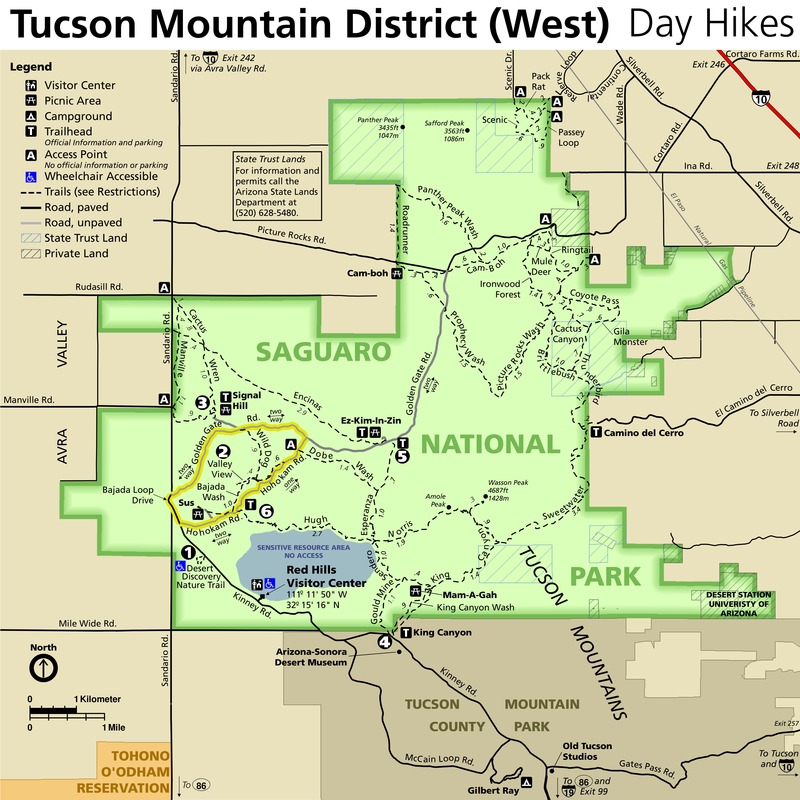 The Mica Meadow and Spud Rock are East west connector Trails and the Bonita trail bypasses the far end of the east Fire Loop Trail. Now that’s that is as clear as mud let’s talk Fire Loop Trail. The Fire Loop trail is divided into four sections; South, East, North and West, corresponding to the side of Mica basin they are on. The Trail is 5.0 miles long and has four major inputs, Manning Camp trail from the southwest, Heartbreak Ridge from the Southeast, North Slope/Italian Spring from the north and Cow Head Saddle from the West. 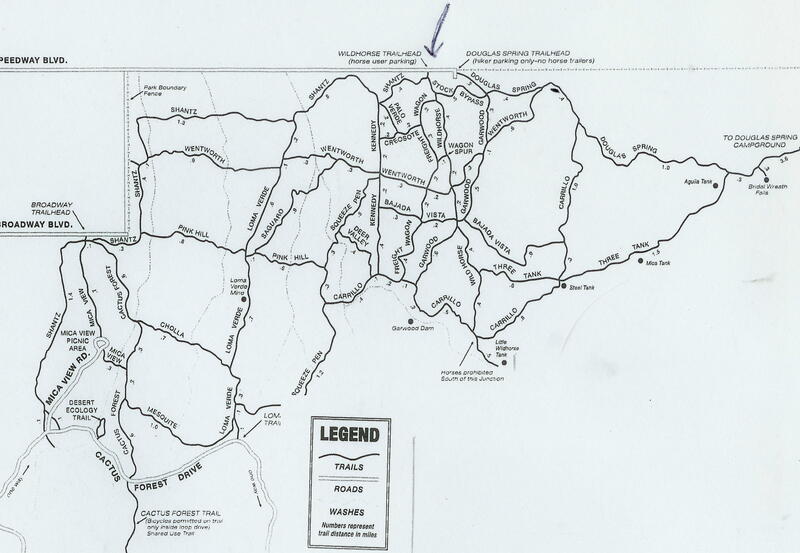 Getting from one side to the other is accomplished by using any of the connector trails; Mica Mountain, Mica Meadow, Spud Rock or Bonita Trails. All the trails are in good condition and very well signed. The South Fire Loop Trail from Manning Camp heading east to Bonita Trail is 1.2 miles long and climbs 400 feet in about 1 mile. The Heartbreak Ridge trail connects up with the Loop trail at about .6 miles. Along this Trail is Man Head Rock to the east just off the trail. Not sure of the origin of the name other than it does kind of resemble a large head. The Bonita and Mica Meadow trail connect to this trail near the end of it, Bonita heading north and the Mica Meadow heading west. Continuing on the Fire Loop you are now on the East portion. This section is 1.6 miles long ending at the North Slope/Italian spring trail intersection. There is very little elevation gain along this portion. The trail follows above and in a bit from Reef Rock. A side trail to Reef Rock about .1 miles is worth the trip with excellent views to the south of Rincon peak and to the east over San Pedro Valley. The North Fire Loop Trail starts at the junction with the North Slope/Italian Spring Trail and Continues west to The Intersection with the Cow Head Saddle Trail. 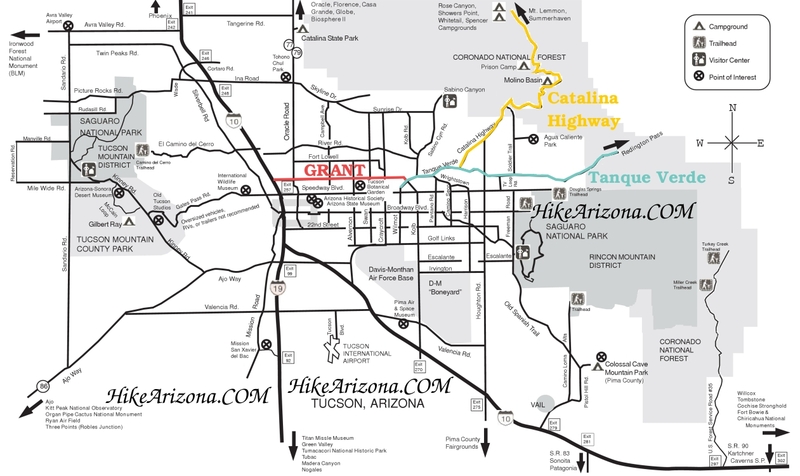 This portion is 1.6 miles long, with an elevation gain of about 200 feet to Mica Mountain and a drop of 550 feet to the Cow Head Saddle junction. The Bonita trail .2 miles in, will take you south to The South Fire Loop Trail and Mica Meadow Trail (.8 miles). .1 miles further is the junction with the Mica Mountain Trail that will take you to Manning Camp. At .4 miles from the start of North Fire Loop trail is Mica Mountain and the site of the old lookout tower. At .8 miles in on North Fire Loop Trail is the Spud Rock Trail that will take you down to the Mica Mountain Trail. There are great views of the Southeast side of Helen’s Dome from this trail. The West Fire Loop Trail is one and the Same as the Cow Head Saddle Trail and takes you to Manning Camp. This portion is .6 miles with an elevation drop of 170 feet. The Trail system on Mica Mountain allows you to create a couple of different loop hikes. With a little thought I was able to do all the trails including the North Slope Trail on two separate hikes in one and a half days without duplicating trails (much). There are no roads to Mica Mountain. access is Via Miller Canyon Trail, in Rincon valley. Douglas Spring trail or Quilter Trail in Saguaro National Park.